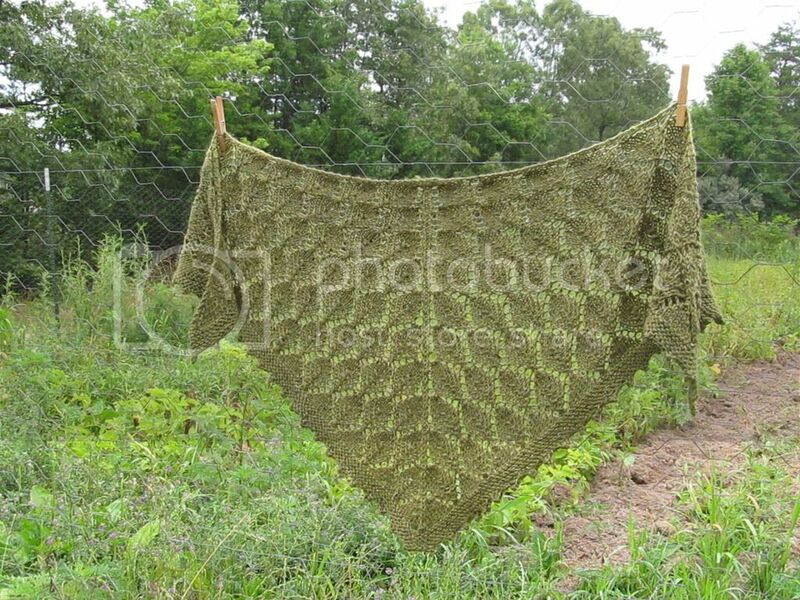 Wool and Wheel: Knitting: Elder Tree shawl. So...here's my first lace shawl! I've knitted projects with a bit of lace in them (like my Nurmilintu shawl last summer), but never an entirely lace shawl. 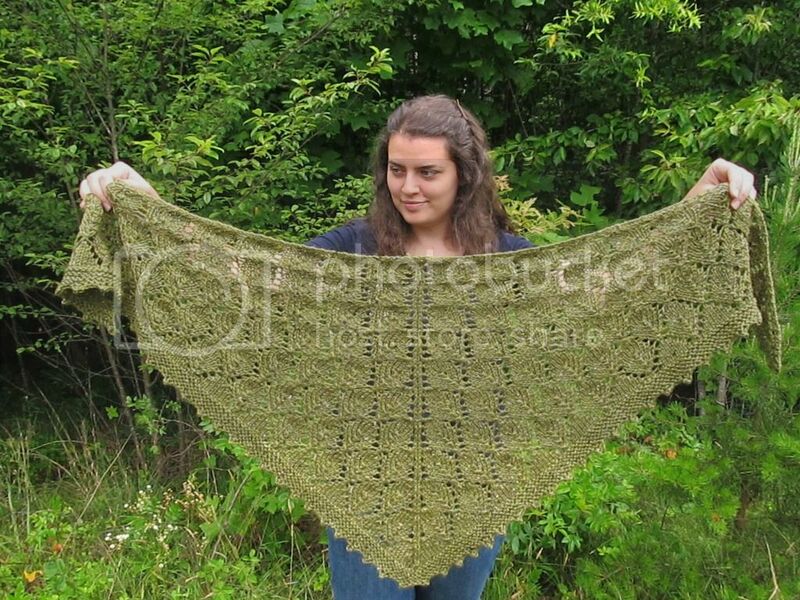 And even now it might be cheating for me to say that, because this one is made from worsted weight yarn, not fine yarn. 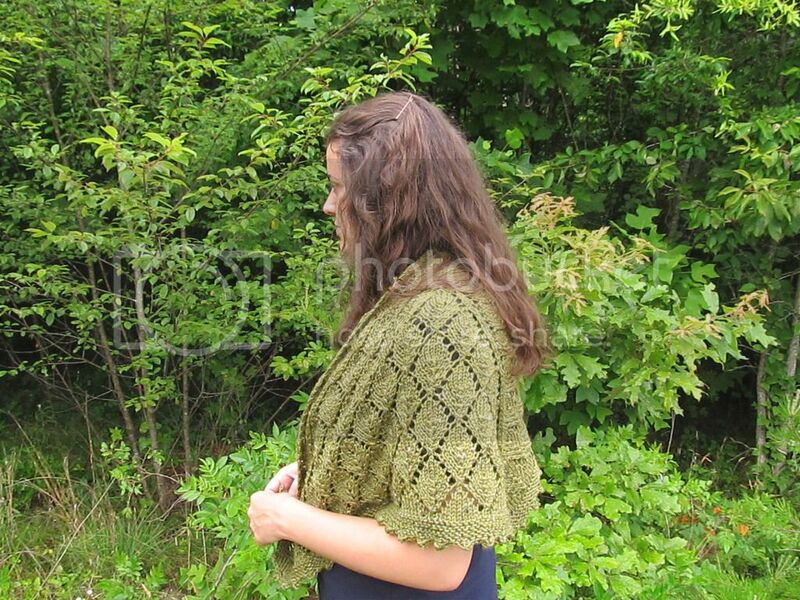 This is the Elder Tree Shawl. 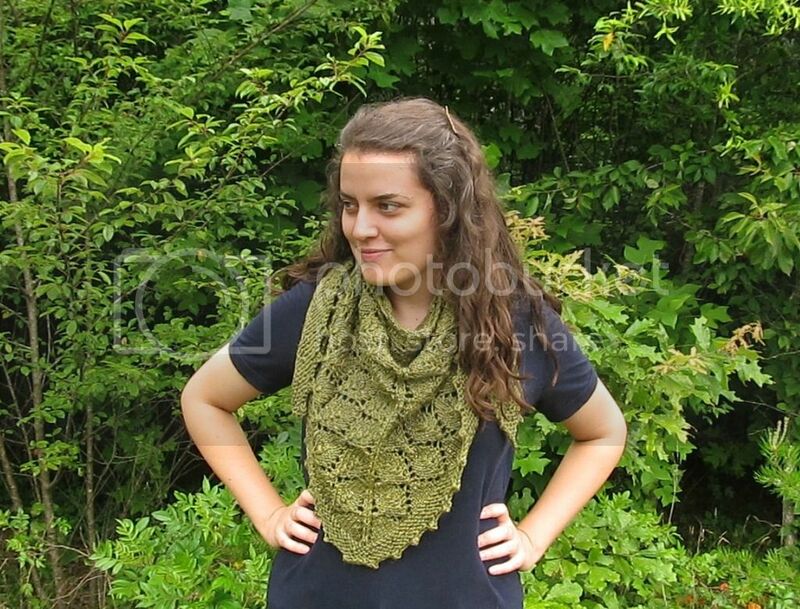 I've had my eye on the pattern forever, and knitting it was such a pleasant experience. The charts were so simple to read and very addicting...I tried to always complete one full repeat of the chart every time I worked on it. I did somewhere between 8 and 10 repeats of the second chart. The yarn is KnitPicks' Wool of the Andes Tweed in the dill heather colorway: the exact same yarn I used for my favorite sweater. But I had bought this yarn for this shawl long before I ever thought about knitting a sweater from it. :) It's a nice, olive-y shade of green, though it looks a bit dull in the photos compared to the greenery in the background, ha. I only used about 3.5 skeins...it amazes me that with lace knitting, you can get such a big shawl out of a small amount of yarn! I'm really happy with this shawl! 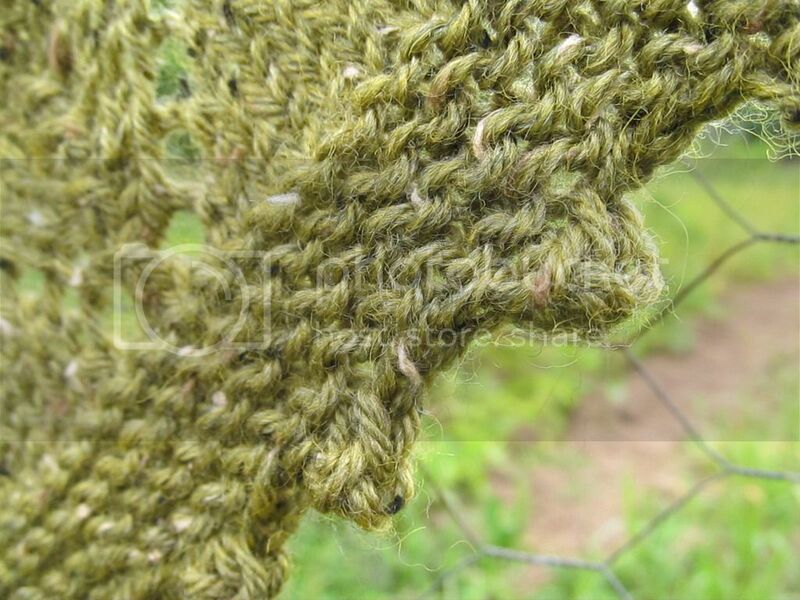 Honestly, it might be one of my favorite things I've knitted, mostly because of how pretty the leaf motif is. It's one of those projects that looks much more impressive and difficult than it really is. 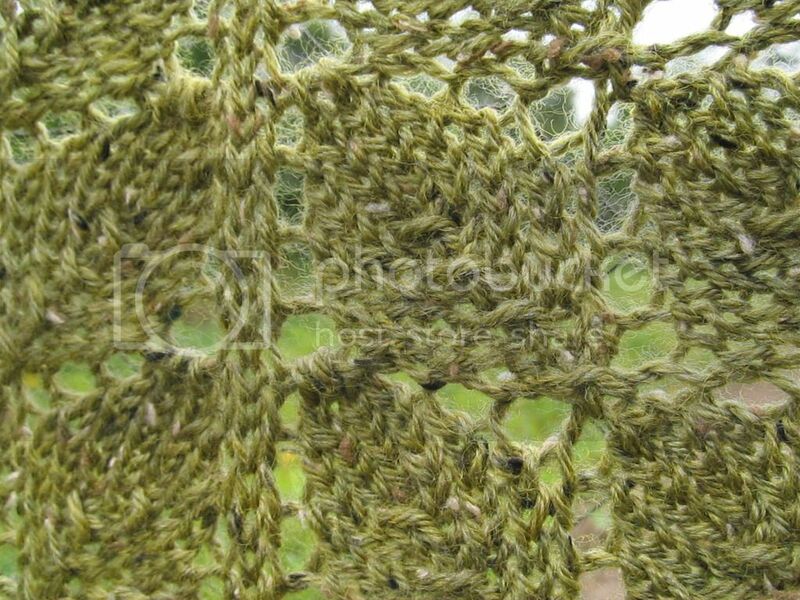 :) I can definitely see myself knitting this pattern again! so pretty! Congratulations on finishing! Lace projects are so impressive! Great job! This one looks more so than it actually is, ha! :) Thanks.